Celebrity chef Tom Colicchio has curated an "artisan to table" collection with e-commerce site DARA Artisans to showcase both new and well-known artisans from around the country. Star chef Tom Colicchio is no stranger to finding new talent thanks to his multiple restaurants and eight seasons as head judge on "Top Chef"–but this fall, he's not just working with emerging chefs. 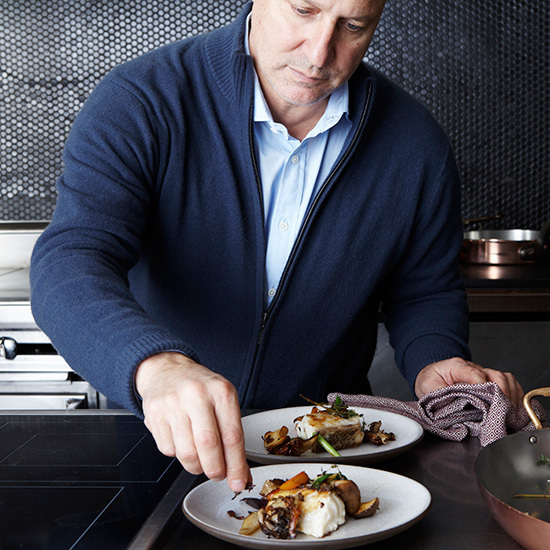 Colicchio curated an "artisan to table" collection with e-commerce site DARA Artisans to showcase both new and well-known artisans from around the country. The collection features items like stoneware from Vermont-based Stonehouse Pottery, cutting boards from LA-artist Dominik Woods and maple syrup from New York's Westwind Orchard–and 10% of all proceeds will be donated to Food Policy Action. Though many of DARA Artisans' makers come from around the world, Colicchio wanted to focus on American artisans for his collection: “It’s about supporting dying arts–and particularly so domestically. As a country we’ve become conditioned to following the dollar; that for the artisan it’s a very hard industry. This is one of the reasons that I’m attracted to and I’ve partnered with DARA. They’ve created a marketplace that artisans can take advantage of." DARA was founded in August 2014 by Dan and Dara Brewster as a way to showcase exquisitly-made jewelry, clothing and home products from around the world.